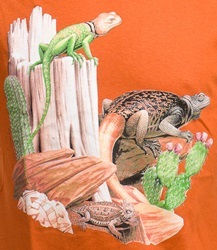 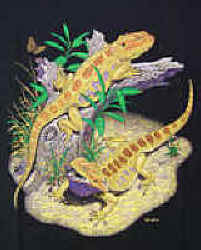 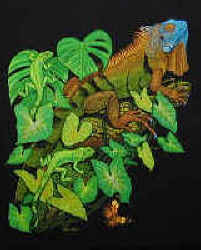 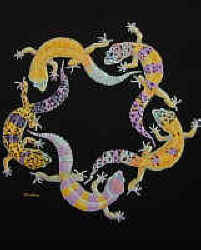 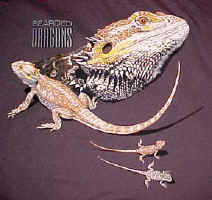 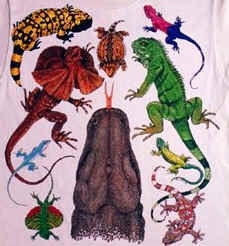 Species pictured on the Ultra Lizard Puff t-shirts - clockwise from center of collar - Green Iguana, Zebra Tailed Lizard, Gila Monster, Great Horned Lizard, Collared Lizard, Fringe Toed Lizard, Desert Iguana, Alligator Lizard, Sagebrush Lizard, Frilled Lizard, Banded Gecko, Brown Anolis, Mediterranean Chameleon. 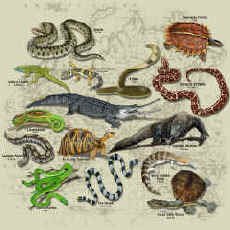 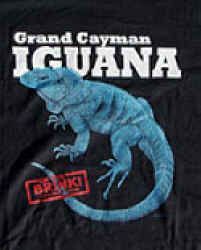 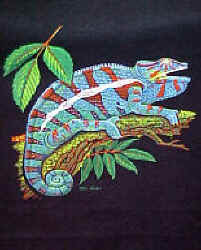 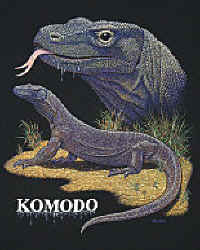 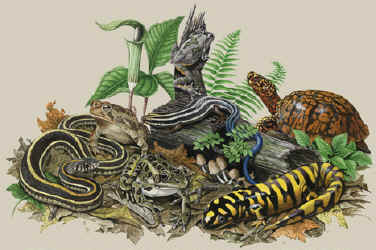 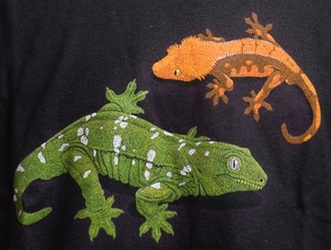 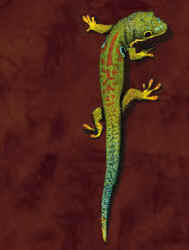 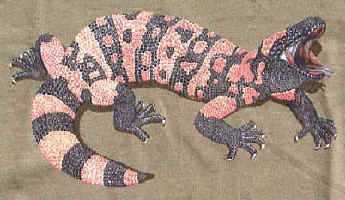 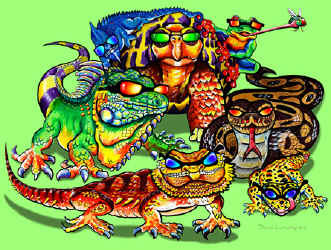 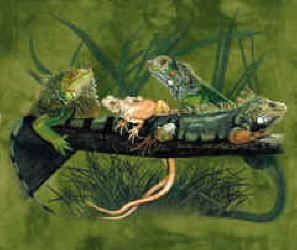 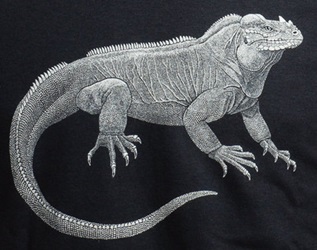 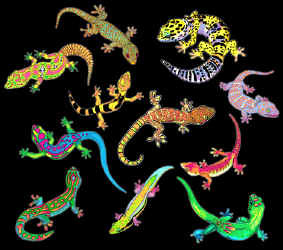 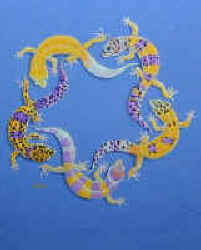 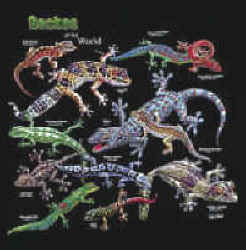 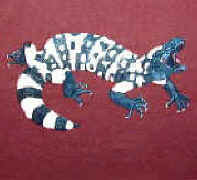 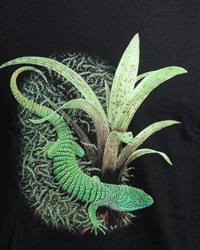 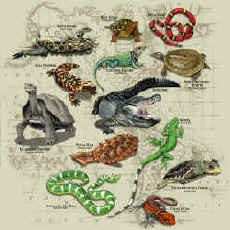 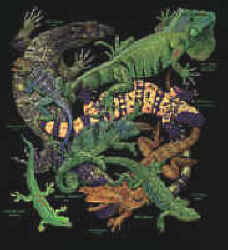 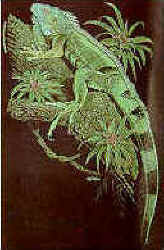 Species with geographic origin pictured on the Lizards of the World t-shirts - clockwise from center of collar - Green Iguana, Gila Monster, Eyed Lizard, Bearded Dragon, Giant Day Gecko, Johnson's Chameleon, Collared Lizard, Water Monitor. 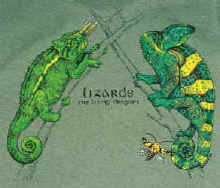 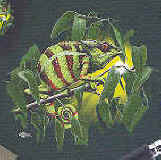 Species pictured on the Herp Wrap t-shirts - clockwise from center of collar - front: Mwanza Rock Agama, Green Iguana, Emerald Swift, Tokay Gecko, Komodo Dragon, Flying Dragon, Green Anole Lizard, Frill-Necked Lizard, Gila Monster and Horned Lizard. 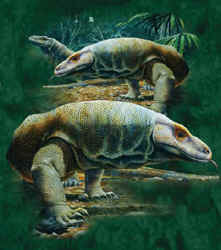 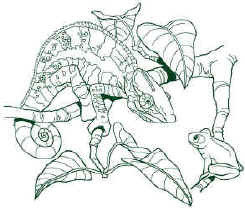 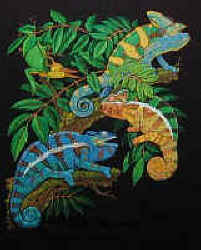 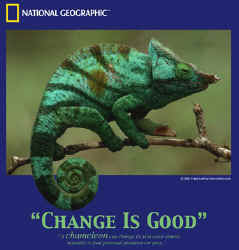 Back: Jackson's Chameleonon the left and Veiled Chamaeleon on the right. 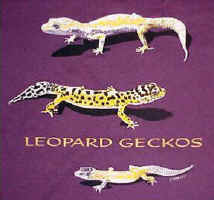 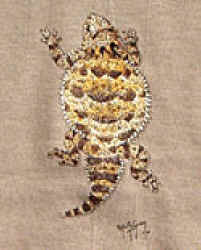 A hang tag gives the common and the scientific names but they are not labeled on the t-shirts. 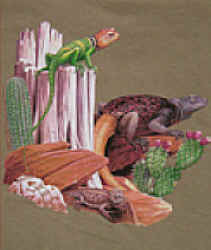 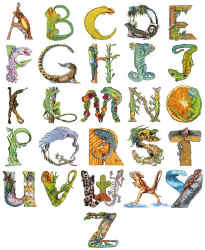 Lizard Books and several styles of Lizard Magnets.